Some would-be buyers consistently make lowball offers in hopes of getting a “deal,” causing them to lose out on the home they really wanted. This could end up not only costing them their “dream” home, but could end up costing money in the long run as home prices continue to rise. In a strong real estate market, the deals are in homes that have been overpriced and haven’t sold as a result, and properties that don’t show well because they need work. If the home you want is well-priced, in a good neighborhood and doesn’t need much work, the best strategy is to make a solid offer and be prepared to go over asking if necessary. Remember, you will probably want to redecorate a little anyway, so someone else’s “hideous” paint color may save you thousands of purchase dollars! With so much information about homes available online today, many people may assume they can buy a home without a real estate agent’s help. This strategy often backfires. First of all, the real estate agent’s role isn’t just about finding listings. With Internet access, buyers can easily find listings themselves. Keep in mind, however, that listings commonly found on “consumer” sites are often one to two weeks or more behind the Multiple Listing Services available only to agents. Well-priced homes in popular neighborhoods can be under contract before YOU even see them! Also, experienced agents have a strong network in the local market, which can give you an added edge. Good agents like to work with other good agents. Keep in mind since the listing agent works for the Seller, he or she will not be willing to negotiate on your behalf. The Seller pays the entire commission, so having an agent for your home search costs you nothing. Most importantly, there’s bound to come a time during the complicated real estate transaction when you have serious doubts or big questions. Your agent can be the trusted adviser you need to walk you through the maze. Most likely, at some point in the future you’ll need to sell the home you’re about to buy. That’s why it’s important to think like a potential seller as well as a buyer. You don’t want to be stuck with a “white elephant” because your size or style of home does not fit most buyers’ wish lists. Research trends and demographics in your chosen neighborhood – or ask your agent about them. This strategy may work sometimes, especially in a weak seller’s market. But we’re in a competitive market for buyers now, so don’t count on it. The seller most likely will have a backup offer from another buyer who really wants the home — and who is hoping your deal falls through. After further inspections, and at the eleventh hour, the buyer demanded an unreasonable amount be deducted from the sale price. The buyer assumed that the seller, not wanting to put the house on the market again, would agree, just to close the deal. But that’s not what happened. The seller agreed to reduce the price, but not by the full amount the buyer wanted. Make sure your contract includes a reasonable time frame for inspections, and then HAVE those inspections performed before the inspection period runs out. Then you can negotiate for the Seller to make repairs or giving monetary credit, or you can back out of the contract and KEEP YOUR ESCROW DEPOSIT MONEY. The market is constantly changing, especially in the Treasure Coast area, with the numbers of foreclosures and short sales and the “new rules” lenders are creating to deal with these properties. Consult a qualified agent or Realtor early in your search and you can save yourself time and headaches later on. Hard to Say Goodbye . . .
As of October 1, 2013, we will be wishing farewell to Realtor JoAnne Hendrix and her better half, Steve, as they move on to new adventures in Las Vegas. JoAnne will maintaining her Florida real estate license here with us for at least another year. Even though she will be missed, we all wish her and Steve the very best of luck. JoAnne and I have been working together for approximately 8 years, and I blame her for making me open up AlexUSrealty.com. It may be hard to believe, but she nagged me until I finally caved in. Not only will I personally miss meeting JoAnne almost every morning at 7:30 am, I will also miss teasing & taunting her. The best of luck to you OLD friend, and if the grass is not as green as you thought that it may be in Las Vegas, you should always know you are welcome back. Having opened in 2009 with only 3 agents, our original office on the corner of Skyline Drive and Jensen Beach Boulevard in Jensen Beach is now bursting at the seams! Thanks to our generous commissions (no gimmicks, no hidden fees) so many agents have made the switch to AlexUSrealty.com that we’ve had to open an extra office in Port St. Lucie. Our broker, Cindy Alexander, is available and hands-on and provides (for free): leads from a nationally-acclaimed lead generation program, business cards, copies, magnetic signs, training and coaching, and a non-competitive environment where YOUR leads and clients are protected from poaching by other agents. As a result, we have some of the most experienced and productive agents in the region – and the nicest ones as well! Our environment is cooperative, not cut-throat. AlexUSrealty.com recently converted to a cloud-based, paperless system, so all files can be accessed anywhere from any device, viewable only by you and your broker and/or manager. This includes all emails, notes, contacts, standard forms that can be filled out on the fly (goodbye Form Simplicity), nonstandard forms or materials that can be scanned or uploaded, and easy electronic signing (no more paying for e-signing services), and all from the same dashboard! We are a member of one of the largest realtor associations in the state, the Realtors Association of the Palm Beaches and St. Lucie County. If any of this sounds intriguing, please give us a call 772 934-6863 or email alexusrealty.com@gmail.com for more information. The Federal Housing Administration (FHA) has recently announced that it is cutting the waiting period for people who have experienced a bankruptcy, foreclosure, short sale or deed-in-lieu. This is exciting news because FHA loans are a significant source of mortgages, allowing people with good credit and a solid work history to have a low-down-payment loan. Previously FHA had announced that it would require any individual to wait three years or more after one of these economic setbacks before it would consider him or her for a mortgage. These loans are especially appealing to banks and other lenders because they are insured by the government against default, while also making it possible for people with less savings or less-than-perfect credit to own their own home. The new, shorter waiting period applies to those who experienced (and can document) a loss of work and loss of income that was beyond their control. Borrowers must also prove that they have recovered from this loss and have sufficient stable income/employment. Additionally, they must show a satisfactory credit history for at least 12 months prior to the loan application and must complete “housing counseling”. The goal is to help those who were hurt by the recent recession regain home ownership and to stabilize the current housing market. If you have delayed looking for a home due to economic circumstances and you feel you can meet the current guidelines, contact your local bank or mortgage company for more information on the new FHA requirements. They will help you determine whether you qualify for a loan, what steps you might need to complete in order to become qualified, how much money you will need to set aside for down payment and other costs, and how much home you can afford with your current income. It’s such an exciting time to shop for a home in South Florida. New home starts are up and builders are feeling more confident thanks to our improved economy. As the prices of short sales and foreclosures have risen, the prices of building new have remained stable or even dropped thanks to drops in prices of building materials, and it is now very possible to have a brand new home for the same price as buying a resale. All it takes is the patience to wait 6 months before move-in, and you can select your own style, colors, and finishes and have your new home move-in ready, complete with a 10-year warranty. Believe it or not, it’s not as complicated as you may think. One local builder will even accept a contract for $1000 down and no construction loan necessary. Once the home is completed you can apply for a conventional, FHA or VA mortgage and proceed to close with your $1000 credited back to you. From what they have told me, they have so much confidence in the local market and the value of their homes, they are willing to take the chance because they know they can easily sell it for the cost of the original contract or more. It may be the best way to have exactly what you want, exactly where you want it, and to lock in current market prices at no risk. So if you’re not a DIY-er and not in the mood to fix it up yourself, it’s a really good option to have and I’m so excited to be able to recommend it as a good value and a worthy option. It’s also good to remember that our South Florida/Coastal building code is the most stringent in the country and has become even more so with each passing year. So you are looking at solid homes, built of concrete or concrete block and with hurricane strapping on the roof and hurricane-rated protection on all openings (including the garage doors). More choices, more options, and a competitive market. It’s all good! Contact our office to learn more and we heartily suggest hiring a realtor to help you through the process. Our training and experience can help you through the process, determine if it’s the best choice for you and, as always, our commission is paid by the seller/builder! 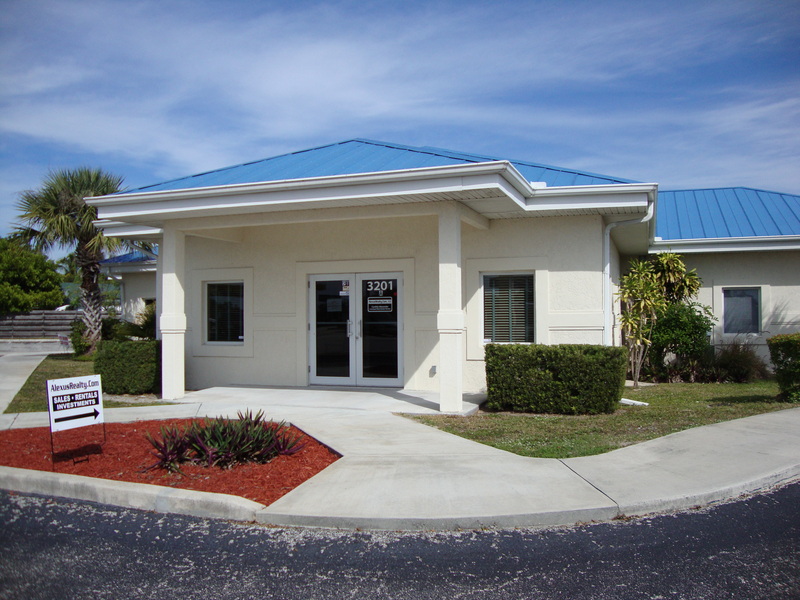 We’re growing by leaps and bounds and are very proud to announce that we are opening an additional office in St. Lucie West on August 1, 2013 for the convenience of our Port Saint Lucie customers. Location is 145 NW Central Park Plaza, Suite 110. This is just off St. Lucie West Boulevard, behind the Burger King. Please note that hours will be by appointment only! The new office will be fully equipped with conference rooms, printer/scanner/copier/ fax and wi-fi.